Integrated pest management (IPM) specialist Frank Zalom, a distinguished professor with the UC Davis Department of Entomology and Nematology and a past president of the Entomological Society of America (ESA), played a key role in a U.S. Congressional briefing held in the Rayburn House Office Building in May. 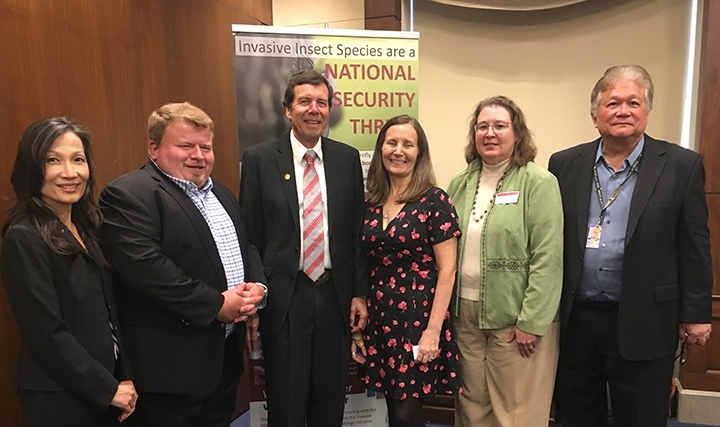 The purpose of the congressional briefing was to raise awareness for and increase understanding of areawide integrated pest management (AIPM) and the benefits of a comprehensive pest management policy, particularly as it relates to invasive species, Zalom said. A newly authored bill by Rep. Tulsi Gabbard (D-Hawaii) and Rep. Ted Yoho (R-Florida) seeks a broader expansion of AIPM and a broader invasive species policy. The bill, the Areawide Integrated Pest Management (AIPM) Act of 2018 (H.R. 5411), would amend the Agricultural Research, Extension and Education Reform Act of 1998 with respect to enabling competitive grants for certain areawide integrated pest management projects, and for other purposes. Zalom moderated the panel and delivered a presentation on the history of AIPM and the need to manage some pests on an areawide basis. AIPM is particularly useful for sites that are not suitable for management on an individual basis, such as natural and urban areas or for public health pests. It is similar to IPM, Zalom said, in that its focus is on implementing systems-based strategies that utilize multiple tactics which emphasize prevention, avoidance, monitoring, and suppression using practices that are biologically-based and reduce risk to human health and the environment. However, its focus is on managing pest populations in all the habitats in which they occur. It involves multi-year strategic planning and organization, and it tends to utilize technologies that may be difficult or less effective when used on a limited scale. Gabbard, in particular, wants to protect Hawaii's coffee industry from the recently introduced coffee berry borer, and Yoho, the U.S. citrus industry from the Asian citrus psyllid and the devastating bacterial disease that it vectors. Partner host organizations included the ESA, Weed Science Society of America and the Association of Public and Land-Grant Universities (APLU). Four panelists—Faith Oi of the University of Florida, Lee Van Wychen of the Weed Science Society of America, Paula Shrewsbury of the University of Maryland and Kelley Tilmon of Ohio State University--zeroed in on urban pests, aquatic pests, forestry pests, and agricultural pests, respectively, and the industry impacts. Oi elaborated on mosquitoes, including the yellow fever mosquito, Aedes aegypti, a major public health issue. Van Wychen discussed the waterhyacinth, an aquatic pest in the Sacramento/San Joaquin Delta and Everglades in Florida. 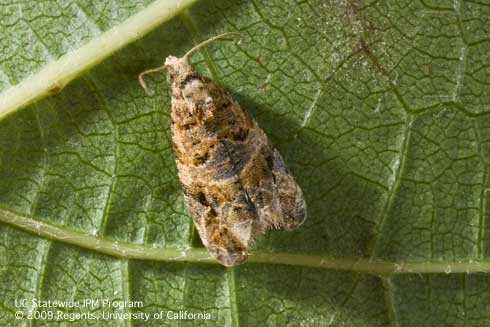 Tilmon covered the agricultural pest, the brown marmorated stink bug. 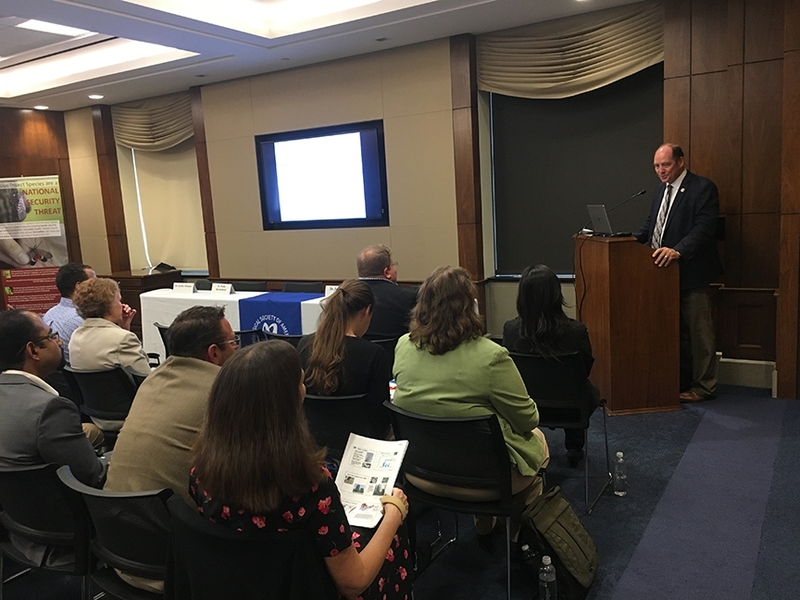 The panelists focused on various geographic topics to help Congressional offices from across the nation understand why AIPM is relevant to them and to support AIPM-related policies. AIPM strategies not only offer important economic, health and environmental benefits, Zalom said, but the Food Quality Protection Act of 1996 directs federal agencies to use IPM techniques in carrying out pest management activities. The briefing drew representatives from congressional offices with invasive species or pest management priorities, as well as the House Committees on Natural Resources; Agriculture; Interior, Environment, and related agencies; Senate Committee on Energy and Natural Resources; the corresponding Senate committees; and relevant caucuses on invasive species and agricultural research. Federal agencies represented included the Department of the Interior; USDA's National Institute of Food and Agriculture (NIFA), Agriculture and Food Research Initiative (AFRI), Agricultural Research Service (ARS), Animal and Plant Health Inspection Service (APHIS). Forest Service, and Office of Pest Management Policy; and the United States Environmental Protection Agency. The AIPM Act of 2018 creates a framework within the USDA National Institute of Food and Agriculture Crop and Pest Management Program to coordinate AIPM projects with other federal agencies and cross-institutional teams, including farmers, ranchers, and land managers. Rep. Ted Yoho (FL-03) introduces the Areawide Integrated Pest Management (AIPM) topic at the congressional briefing.